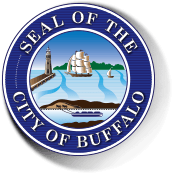 Oswaldo Mestre Jr. is the Chief Service Officer and Director of the Citizen Services for the City of Buffalo and serves as the City’s ombudsman. Appointed by Mayor Byron W. Brown in January 2006, Director Mestre has been tasked with the administration of the Mayor’s Call & Resolution Centre and various special programs designed to address the needs of Buffalo’s neighbourhoods, such as the implementation of the city’s new 3-1-1 Call & Resolution centre recently awarded and designated as a “Citizen–Engaged Community” by the Public Technology Institute, Inc. for 2010-2012 and 2012-2014. Check out the incredible speaker line-up to see who will be joining Oswaldo.